Disconnect Disconnect Records are happy to announce that we will be releasing the new album from Albany NY’s After The Fall. 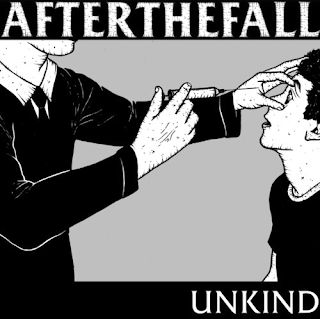 A long time favourite of the label, After The Fall’s full length ‘Unkind‘ will be out on March 19th on CD in Europe through us at Disconnect Disconnect Records, under license from Paper and Plastick (who are handling the vinyl / digital global release). 'Unkind' is their 4th album, and sits in between the technical skate punk sound of 2nd album 'Fort Orange' and the more aggressive third album 'Eradication', creating a great album, sure to be one of the punk rock releases of 2013. The album is 12 tracks of relentless punk rock with plenty of shredding which should appeal to fans of Propagandhi, Strike Anywhere, Good Riddance and Bad Religion. Check out the closer to the album ‘Decade’ below for a taste of what's to come from the album. The album is available to pre-order now right here.